Eclectik holiday cards leave a memorable impression. Our custom handmade, collage designed collection is the perfect way to recognize your clients and friends while fostering personal relationships throughout the year. Cards can be personalized with logos, names, photos and custom messages. 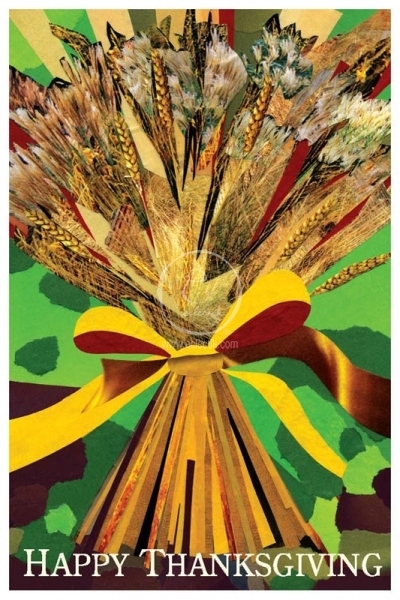 Card Size: 5-1/4" x 7-7/8"
Inside Reads: With Gratitude, Wishes For A Bountiful Thanksgiving!